Looking to sell your old or scrap Toyota vehicle? Is it lounging about on your property for a long time now? Then, it could be a really difficult task to accomplish without wasting much of your money and time. This is the right time to contact “Ali Wreckers”. Toyota Wreckers in Melbourne, VIC for selling Toyota for top cash. While Toyota is world’s number one auto maker and it continue to hold this title even today. But it is not immune to the ravages of time. That’s why we have established ourselves as the leading old Toyota buyer across VIC. We are your best bet for scrapping a car that is not roadworthy, totalled in a collision or even in a mint condition. We’ll make you a fair cash offer for it and organize a free scrap removal process. Contact us today to get instant cash estimates on phone or online at our website. 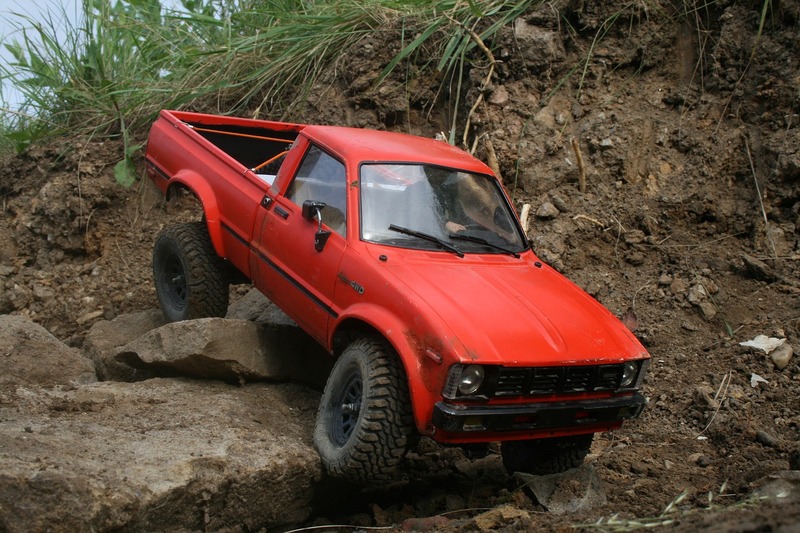 What makes us the premier Toyota Wreckers in Melbourne? Are you looking for the best place in Melbourne to sell your Toyota? Whether you wish to get rid of a junk, used, damaged or totally busted Toyota vehicle. We are your absolute hassle-free solution to get rid of that old clunker. We have been delivering unbeatable auto wrecking services for more than twenty five years now. This has placed us at as leading Toyota dismantlers in Victoria automotive industry. In our crew, every member is highly qualified in handling undesirable vehicles and providing maximum customer satisfaction. They will quickly respond to your queries and arranging every process depending on your needs. We render a completely trouble-less and Free Toyota removal across Melbourne, Dandenong, Geelong, Werribee, Clayton, Frankston, Melton, Noble Park. Sunshine, Bayswater, Epping and Springvale . Additionally, we have for advanced technology and equipment for offering eco-friendly Toyota disposal and recycling. Being responsive team of Toyota dismantlers, we view customer’s convenience as our top priority. Hence, we make sure to arrange an easy and quick sale process according to the requirements of our customers. Also, we render free Toyota removal across Melbourne on 24×7 basis. You can schedule an effortless removal process from any part of Melbourne, regardless of your auto condition. While arranging auto removal, we will make sure to consider the time and place that is suitable for you. Accordingly, we will come to you for giving a smooth tow away service with cold hard cash. We take the responsibility to sort out all the related documents for smooth conduct of sale process. And, we will do it for absolutely zero cost and no hidden fees. No matter where your junk or broken vehicle is sitting in Melbourne. It will be highly advantageous to employ our services to save your time, money and energy. As we are fully licensed and dependable old Toyota buyer servicing in Melbourne and surrounding regions. When you give a call to us, there is no reason to expect an unfair cash offer. It is because we love collecting and recycling a huge variety of vehicles. By wrecking and salvaging its useful parts we are able to sell them as reconditioned items. Selling Toyota spare parts help us to earn a nice amount of money, which is why we pay top cash for Toyota. Though it may vary depending on the make, model and condition of Toyota. Ultimately, we guarantee to offer unmatchable and best ever pay-outs up to $7,000. Hurry! Make us a call today to obtain a free quote for your automobile in a few minutes. It is really simple to determine a fair worth when it comes to scrapping your Toyota for money with us. As we share instant cash quotes for free. Also, we work around the clock giving free cash assessment to clients without any obligation. Our friendly team provides a simple process through which you can get a quotation. It involves filling out the online inquiry form or making us a call at: 0411 704 458. When you call us, all we’ll require is every basic detail about your vehicle. It mainly goes for the year, make, model, VIN (Vehicle Identification Number) and condition. After taking into consideration all the crucial factors we will present you the right cash quote. We are dedicated to buying unwanted automobiles with any form of damage. You may want to sell a vehicle that is too old or not able to function any longer. There is no reason that can make us show thumbs down to your automobile. Our highly trained team has an effective solution to get rid of all shapes and sizes of vehicle. We are certified and insured Toyota Truck Wreckers that come to haul away your auto. It could be junk, broken-down, rusted, burnt, water-logged, totalled, unregistered or not-running. That also means you don’t have to waste your energy and money in prepping the vehicle for removal. We are Japanese Wreckers and we have an enthusiasm to purchase and recycle every known model of this popular Japanese brand. Following is the list of some Toyota models that we often accept: Aurion, Estima, Prius, Echo, Corolla, Toyota 86, Ipsum, Condor, Avalon, Celica, Vienta, Chaser, Hiace, Supra, Land Cruiser, Carina, Harrier, Briska, Rav4, Altezza, Lexcen, 4runner, Starlet, Spacia, Highlander, Yaris, Urban Cruiser, Camry, Brevis, Hilux, Auris and T-18. Being the top Toyota salvage expert, we take care to use eco-friendly techniques for proper recycling and disposal. Our specialists are experts at dealing with cars, vans, Utes, SUVs, 4WDs and trucks in an acceptable way. While disposing automobiles we make sure to care about our environment. This is why we use top-notch machines and techniques to recycle old clunkers in an eco-friendly style. By wrecking it for components they are able to refurbish and resell any recyclable items. This gives us the benefit of earning fair profit and provide best returns to clients. While the useless parts and materials are sold to scrap metal recyclers for multiple uses. If you are looking to fix any minor or major issue in your used Toyota vehicle, get our best help today. We give an amazing chance to find high quality second hand parts in our huge inventory. All of our reconditioned components are extensively cleaned and tested to give best performance. So, don’t delay to grab a quality spare part to upkeep the performance of your vehicle. The crew at Ali Wreckers is great to deal with. Sold my Toyota Hilux and got the best price for that. Highly Recommended. 5 John St, Dandenong, Melbourne. VIC's #1 Car Wreckers who pay up to $7'000 cash for cars in any condition. We offer same day car removal service across Melbourne. We offer the best way to scrap a car for top cash.